Although a red-eared slider may be a gentle animal that does not require much to stay healthy and may adjust to its current environment quite easily, it will still have some basic requirement. 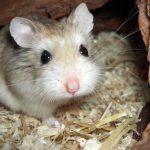 A new habitat with all the much-needed elements that will keep it warm or cold as needed and an owner who will provide good husbandry will ensure that it will remain happy, satisfied, and healthy throughout its lifespan. 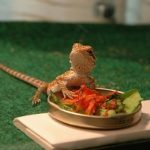 If you are planning to have a slider for a pet, or have already acquired one or a few, one of the most basic things that you will need to provide for it is an enclosure. You can’t just let it stay in a shoe box and wait for it to grow on its own. 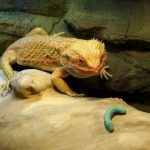 In this post, we will provide you with some of the things that you will need to take note of as you create a perfect habitat for your new pet. 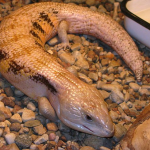 As your pet will grow after some time, you will also need to upgrade its enclosure. 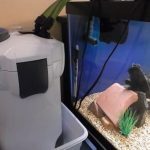 Every time you upgrade its tank, you need to make sure that all other elements that make up the whole tank, including its support, filter, water level, surface areas, and so on should also meet the age and size of your pet. How Do You Build the Best Tank for a Red-eared Slider? Red-eared sliders are small-sized turtles as juveniles. However, they can also grow fast into a large, 12 to 16-inch adults. They require enough space where they can swim, bask, and rest. 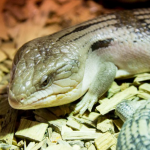 They will also need a substantial filtration system that can maintain the clarity and cleanliness of the water in their enclosures, as well as appropriate heat and light that they can use to help them properly digest the food that they eat. A red-eared slider’s tank set up is crucial to its optimum health, and a well-functioning tank (or one that has an appropriate pond ecosystem) will ensure it will live a long and happy life throughout its stay with you. The quality of husbandry is one of the best determiners of the quality of health of your slider. To establish the best possible habitat for your turtle, you may need to follow this guideline. Select an appropriately sized tank that will serve as your slider’s new habitat. 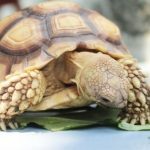 When looking for the right enclosure for your pet, you need to remember that you will need at least 10 gallons of water for every inch of the turtle. For instance, you have a four-inch turtle. That means you will need about 40 gallons of water inside its tank where it could swim freely. If space is not enough for your turtle, it will become sick any time soon. Needless to say, you will need to invest in a high-quality tank that will be large enough for your pet even when it has fully grown. Your pet turtle enjoys digging at the bottom of its enclosure. Laying a substrate inside the tank will not only satisfy this desire, but it can also help trap debris, maintain proper pH within the enclosure, as well as help the water remain clean. Take note, however, that your red-eared slider will consume anything that it can fit into its mouth. However, it can easily choke on a small inedible matter, such as artificial gravel. A better option for a substrate would be some large river rocks or some clean, debris-free substrate that won’t fit into your pet’s mouth. Red-eared sliders are quite messy and will need frequent double filtration. That would mean your 100-gallon tank will need a filtration system that will suit 200 gallons of water. You will need to dechlorinate the water using a water dechlorinator before adding it to your pet’s tank. Make sure that your turtle will have sufficient space to bask. Red-eared sliders spend a good amount of their time out of the water to bask and rest. You’ll observe your pet a lot happier if you provide it a lot of dry surfaces to roam and bask on. For this purpose, you may add pieces of wood or decors that your pet may use. Some filtration system is designed to serve the same functions, like a few from what we have listed below. Just make sure that the dry surface is installed securely and can support the whole weight of the turtle. Ensure that your pet is provided with 12 hours of UV lighting each day. 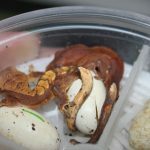 Red-eared sliders need this artificial heat and light not only to keep them warm but also to help them properly metabolize calcium so that they can live healthy and be free from life-threatening metabolic bone disease. Make sure that the water temperature inside the turtle’s tank is appropriate. Red-eared sliders need water that has a temperature that i is slightly above room temperature. This would range from 74 to 85 degrees Fahrenheit. To ensure that your pet will always enjoy the right water temperature in its tank, you can install an over-the-tank heat light as it can help raise the temperature to the proper levels. You’ll need an aquarium thermometer to help you properly monitor the temperature, however, to make sure that the water won’t be too hot or too cold. Note that at below 70 degrees, your turtle may become sluggish. At temperatures below 65 degrees, it will stop eating. 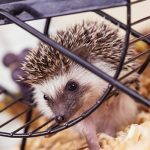 If you are still in the process of deciding which habitat to provide for your pet, you may just proceed to identify one from this list. You’ll find some of the quality enclosures that are available in the market today, which you can choose from the list below. Here’s a perfect indoor aquatic turtle habitat that comes with a tall platform rock, a cleaner filter, a 10-gallon see-through glass bowl with a cover screen lid with locking clips, as well as a heater led lamp for lighting and warmth. Both amphibians and reptile pets will love this new habitat. You can add pebbles, plants, mud and other sea or lagoon accessories and supplies for your pet and you’ll have the ultimate starter tank for your slider. Your pet will appreciate swimming around in this long crystal-clear aqua tank and you will also feel secure as it comes with a protective top. It also comes with a beautiful basking space, a hassle-free hiding place, a steady staircase for easy climbing, as well as a 59-watt heating light bulb that can help keep your slider feel comfy in its new habitat. It’s a great starter set up that is quite easy to assemble. The tank measures14.58 in high, 21.57 in. wide, and 11.97 in long. This kit includes all the essentials needed that you will need to provide that ideal habitat for your slider. 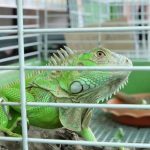 The kit comes with a decorative filter, cartridges, basking platform, heating lamps, boxwood plant mat, a screen top, and a and a 20-gallon tank that measures 30″ x 12″ x 12″. The Decorative ReptoFilter that comes in this package creates a beautiful waterfall and basking area while providing a three-stage filtration system that will keep the water in the tank clean and odor free. Two dome lamps are set in the screen above the tank to provide warmth and prime basking for your turtle. This kit also comes with some ReptoMin Baby Floating Food Stick and AquaSafe samples. Your pet will soon find this new habitat quite inviting, and you’ll feel confident that your slider will be kept safe inside its new habitat as it contains all the necessary elements that will keep it safe and satisfied. Lee’s kidney-shaped turtle lagoon can be a temporary habitat for your small turtle. You will enjoy watching your pet as it explores the space around it. It is designed with an access ramp that leads to an elevated lounging/ feeding area and a decorative palm tree. This could be a great feeding space for your slider where it can also spend time swimming in the water in the available space. Take note that this only fits small turtles. You will soon need to find a bigger tank for your pet as it will grow soon enough. One good feature of this lagoon is that it is quite easy to clean. This aquarium kit by MW is a10- gallon freshwater aquarium kit that includes nearly everything you need to get started in caring for your pet turtle. It contains the habitat platform with hiding hole and steps, a 60-watt heating light bulb, water filter, and locking lid. You’ll soon find your slider loving the water and everything in its new habitat. 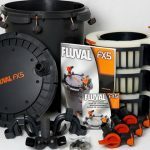 You’ll also be assured that the water that your turtle is swimming in is kept clear and clean with the special filters that come with the package. Your pet will also feel comfy while in it as there is also LED lamp that comes with the kit. This kit includes a 20-gallon aquarium with the following dimensions: 30 x 12 x 12 inches. The package also includes a dual basking platform that also functions as a water filter, a premium heat and UVB bulb, casing, adult food, and water conditioner. You will also find a complete set up guide, which will make installation of everything that comes in the package quite easy. This terrapin tank is designed with a built-in platform and ramp for basking that your slider will love exploring. Its ramp comes with a non-slip strip that can help your turtle when climbing it. This durable plastic construction has an interesting kidney shape that can encourage conversation whenever anyone gets to see it. This can be set as a unique habitat not only for turtles but for other small amphibians and reptiles as well. This will provide a perfect basking, swimming, and resting area for your pet turtle. This vivarium box is made from high-grade plastic that is non-toxic, sturdy, and safe for use. It is designed with the following surfaces: docking ramp, basking platform, a feeding trough, breeding hibernation area and swimming area. This semi-transparent tank gives your pet a healthier, more spacious aquatic habitat while giving you a new way to interact with it. The Exo Terra Faunarium is an ideal enclosure that you can use to transport terrarium animals or live foods, as a temporary housing for your slider, or as a quarantine space. It comes with a handle for easy carrying, as well as a top clear window where you can access your pet inside the enclosure. This enclosure is stackable, easy to clean, and also easy to disinfect. It has the following dimensions: 18 inches long x 12 inches wide x 6.5 inches high. The Wildgirl portable tank can be used as a portable and secure enclosure for your red-eared slider. It is made of high-quality plastic and is designed with two openings (a big opening on the top and a small opening at the side of the enclosure. This tank has the following measurements: 25.5 x 22 x 20cm (medium tank) and 28 x 18 x 20 cm (large tank). This tank is also suitable for small reptiles and fishes under 10 cm long. 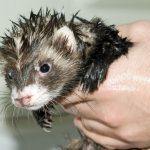 Once you have properly set up your pet’s tank, all you need to regularly do is to have it cleaned and properly sanitized to ensure that your pet will remain disease-free and will live satisfied under your care.